Michele is the newest addition to the Flanagan Family and comes with over 25 years of chairside experience. 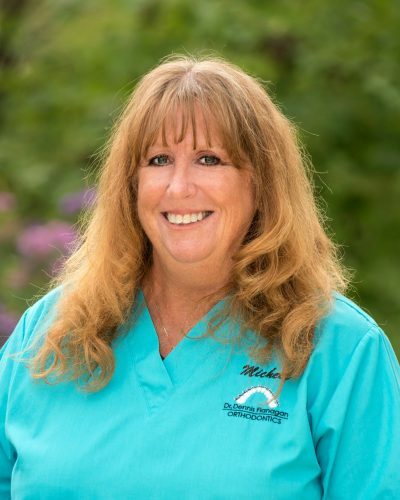 Michele loves the end result when a patient completes treatment. Having a role in providing them with a smile that will give them confidence for the rest of their lives, warms her heart. Michele and her husband Larry have been married for 34 years. Together they have 2 daughters and a son, along with two pups at home. In her spare time she likes hiking, photography and spending time with her family.